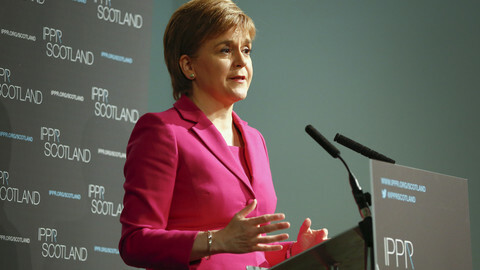 Scottish first minister Nicola Sturgeon said on Monday (13 March) she will start the legal process for a second referendum on independence to be held before the UK leaves the EU. She said Scots, who voted 60 percent in favour of remaining in the EU in the referendum last year, should be given a chance to choose between sticking with the UK after a "hard Brexit", or seeking a different path. "If I ruled out a referendum, I would be deciding, completely unilaterally, that Scotland will follow the UK to a hard Brexit come-what-may, no matter how damaging to our economy and our society it turns out to be," she said. Sturgeon accused British prime minister Theresa May of "not [having] moved an inch" in response to her calls for a special deal on Brexit for Scotland. "All of our efforts at compromise have been met with a brick wall of intransigence," Sturgeon said, claiming that May's government has been given every chance to compromise. Sturgeon fought for having the UK remain in the single market, or sought an outcome that would at least allow Scotland to do so. 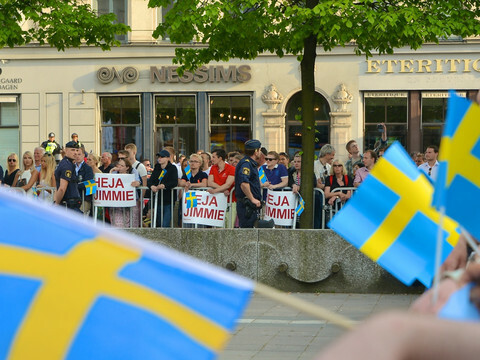 However, she remarked that any agreement seems unlikely. 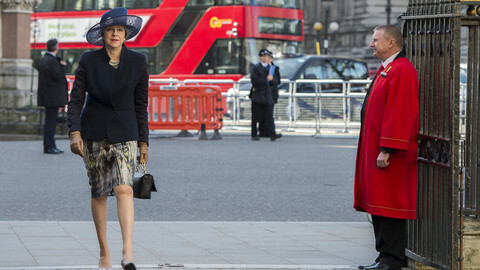 Therefore, she said she would ask the Scottish parliament next week to request a so-called Section 30 order from Westminster - a legal clause that would grant permission for Scotland to hold a new independence referendum. Sturgeon said she wants the vote to take place before Brexit is complete, sometime between the autumn 2018 and the spring of 2019. On Monday, Prime minister Theresa May accused Sturgeon of creating more "uncertainty and division". "As we negotiate to leave the European Union, I want to negotiate an agreement that is going to work for the whole of the United Kingdom and that includes the Scottish people," May said. She added that the "evidence is that the Scottish people, the majority of the Scottish people, do not want a second independence referendum". 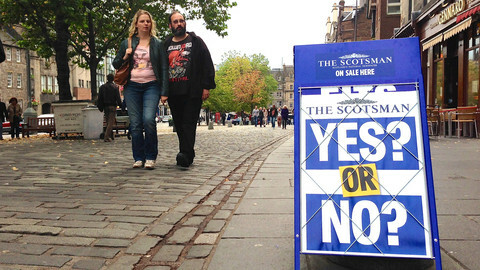 Scottish voters rejected independence by 55 percent to 45 percent in a referendum in September 2014. Sturgeon argues that Brexit gives a very different context to the whole issue of independence. Sturgeon's announcement caught May by surprise, just as the UK prime minister is battling to keep her Tories in line to vote for the EU withdrawal bill, removing the House of Lords' amendments. May's cabinet has also been caught off-guard by the timing of the vote proposed by Sturgeon. However, May has not explicitly revealed so far whether she would block a second Scottish independence referendum. She would reportedly allow it, as long as it takes place after Brexit - after Scotland is also outside of the EU. 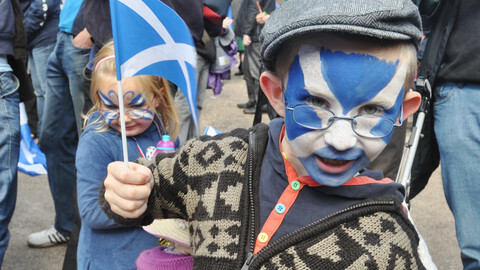 On the other hand, Sturgeon is keen on having the referendum before Brexit takes place to maximise the possibility of Scotland remaining or swiftly rejoining the bloc. 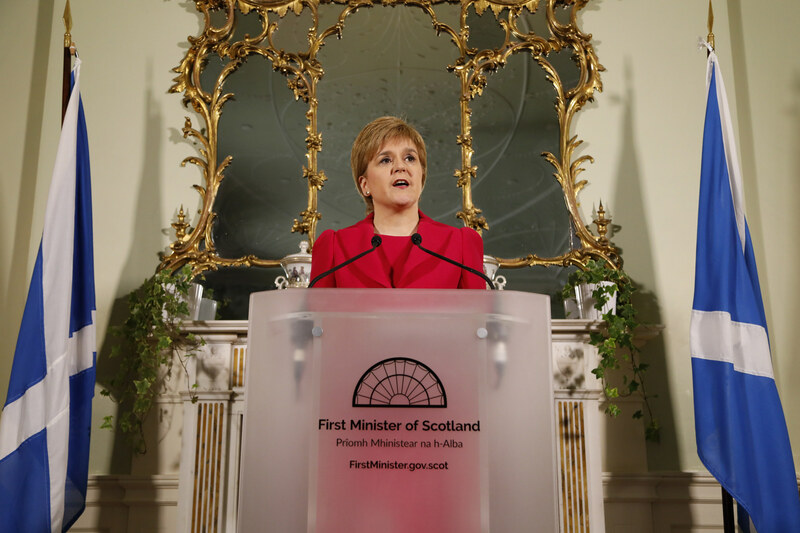 "It is just as important that we do not leave it [the referendum] too late to choose a different path in a timely way," the Scottish first minister said. Sturgeon however did want to elaborate on what she would do if London blocked Scotland from holding a second referendum. The European Commission again said on Monday that an independent Scotland would have to formally re-apply to become an EU member state.